A fairly new tradition at St Mary’s is instead of having a rehearsed Nativity play, children turn up on the Sunday morning and take part in whichever role they can. As you can imagine, this can be a little chaotic, but as Amanda always reminds us, the first Christmas hardly took place to a detailed plan! 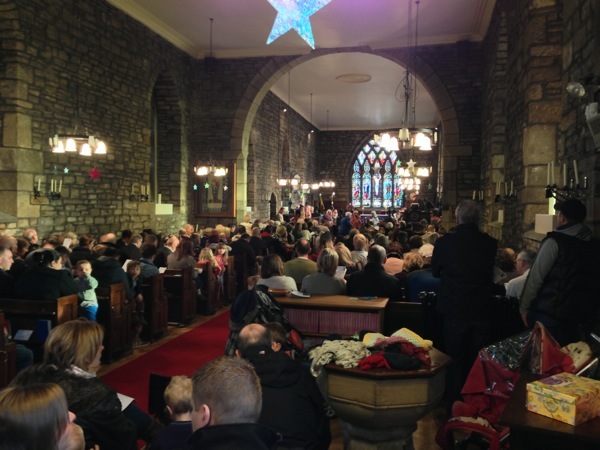 This year the church was heaving, with standing room only. We approximately counted over 200 adults and over 100 children. Definitely a busy start to the Christmas period!